Call to Order, Every shock has custom valving for each customer! The 1000 Series shock is a small body twin tube with a hard black anodized aluminum body machined with a coarse thread for a coil-over adjustable nut and for maximum cooling efficiency. This shock uses CNC machined aluminum internal parts designed for racing with no aftermarket parts. This shock utilizes aluminum billet pistons and base valve assemblies to provide the most consistent performance. The small body shocks are available with many valving combinations. The small body shock accepts 1 7/8” I.D. Spring & is available in 5”, 6”, 7”, 8” & 9” shaft lengths. Call to Order, Every shock has custom valving for each customer! The 2000 Series shock is a large body twin tube with a hard black anodized aluminum body with CNC machined aluminum internal parts designed for racing with no aftermarket parts. This shock utilizes aluminum billet pistons and base valve assemblies to provide the most consistent performance. 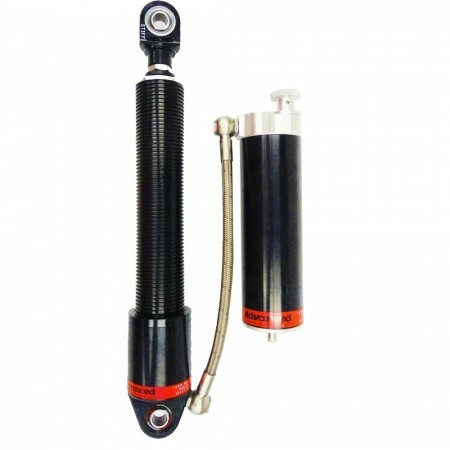 The large body shocks are available with many valving combinations. The large body shock accepts 2 ½” I.D. or 5” O.D. Springs and is available in 5”, 6”, 7”, 8” & 9” shaft lengths. Call to Order, Every shock has custom valving for each customer! The 2200 Series shock is a large body twin tube just like the 2000 series shock but the body is made from steel instead of aluminum. This shock uses CNC machined aluminum internal parts designed for racing with no aftermarket parts. This shock was designed to fit the rule of “Steel Body Shock” that saves the racer money. The smooth body shock will accept a coil-over kit that slides over the body. The large steel body shock accepts 2 ½” I.D. or 5” O.D. Springs and is available in 6”, 7”, 8” & 9” shaft lengths. Call to Order, Every shock has custom valving for each customer! 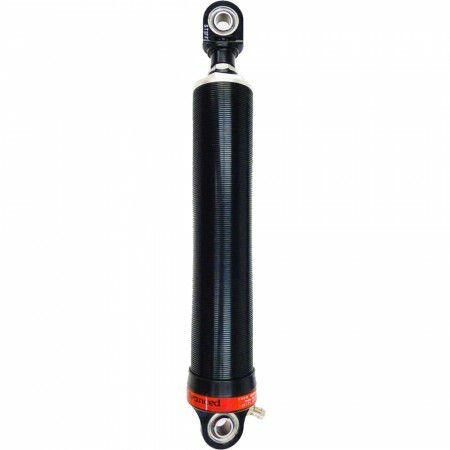 The 3000 Series shock is a small body mono-tube (gas) shock with a hard black anodized aluminum shock and canister that is double adjustable. This shock uses CNC machined aluminum internal parts designed for racing with no aftermarket parts. This shock allows the racer to adjust the rebound and compression dampening completely independently. 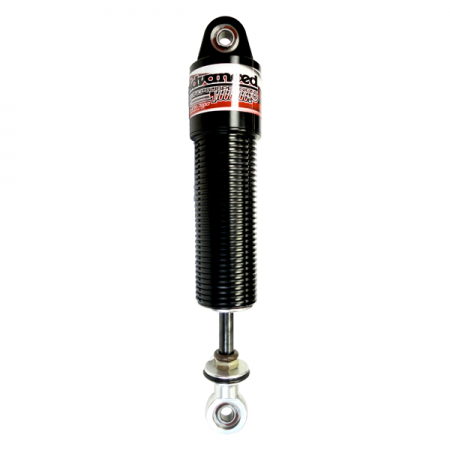 This shock allows for the rebound to be adjusted at the eye of the shock and the compression to be adjusted on the remote canister of the shock. This shock has a Schrader valve that allows for fine tuning of the gas pressure. This shock will eliminate the need for extra shock inventory by creating one shock for each corner of your car. Call to Order, Every shock has custom valving for each customer! The 3200 Series shock is a small body mono-tube (gas) shock with a hard black anodized aluminum body and canister if choosing that option. This shock uses CNC machined aluminum internal parts designed for racing with no aftermarket parts. 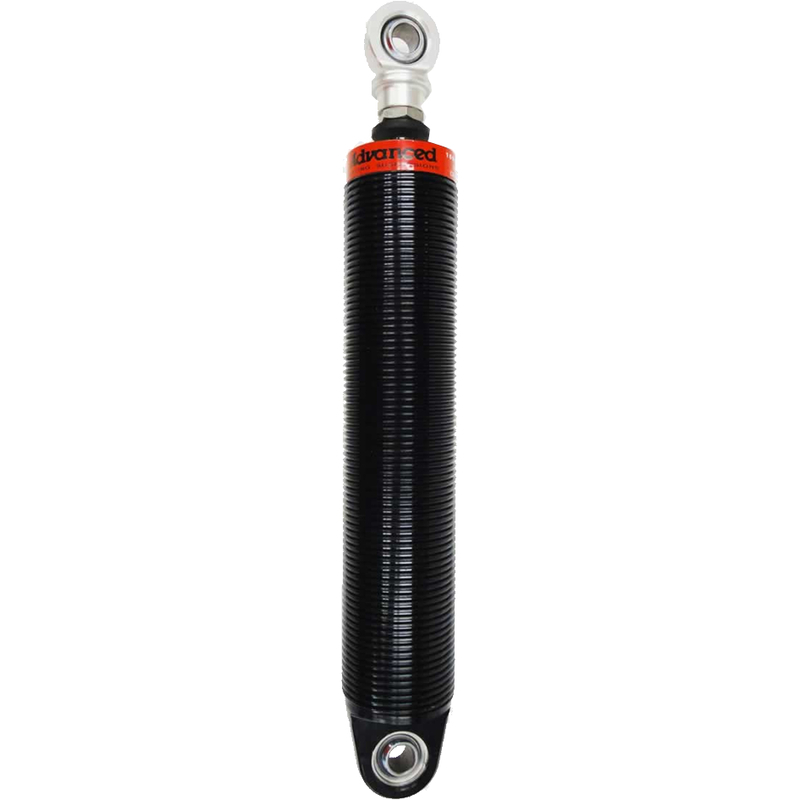 Most small body mono-tube shocks have too much rod pressure which removes driver feel and causes the race car to feel like it is on top of the track. This shock gives the driver more feel and allows the car to grip the track more. 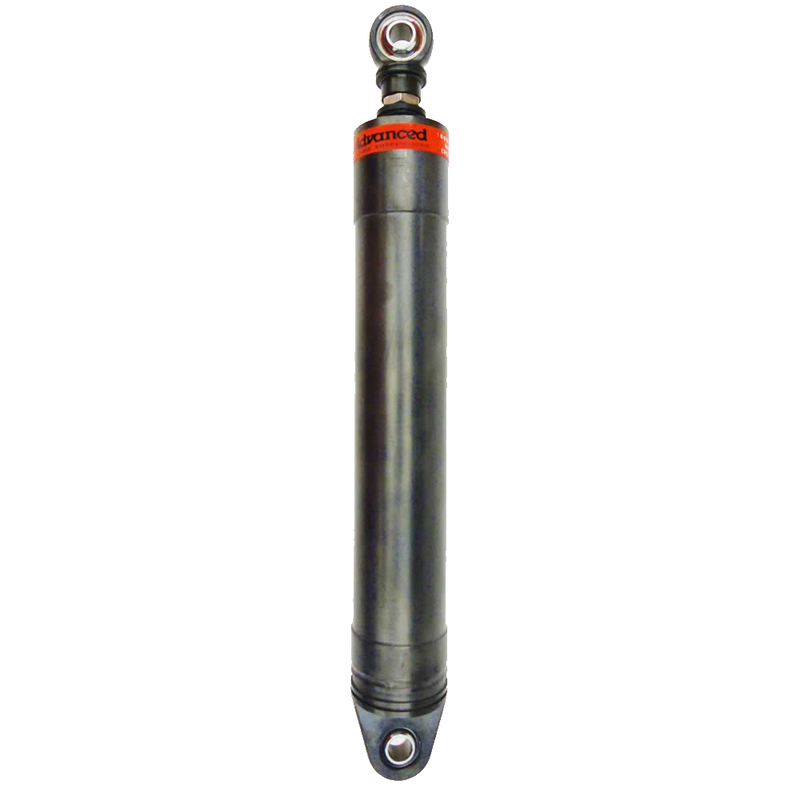 This shock utilizes a base valve installed between the floating piston and the valving piston to isolate the pressure, allowing for substantial reduction in rod pressure. This shock has a Schrader valve that will accept 10-50lbs. gas pressure which provides for fine tuning the chassis balance. 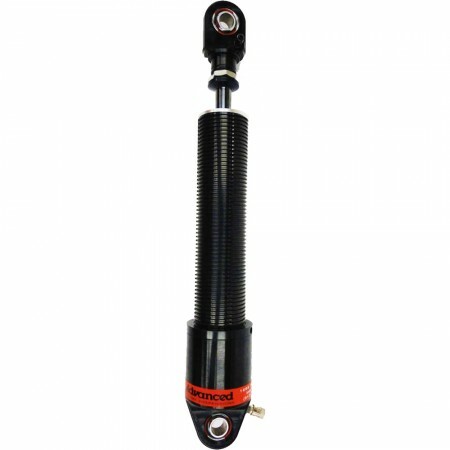 The small body shock accepts 1 7/8”, 2 ¼” & 2 ½” I.D. Spring & is available in 5”, 6”, 7”, 8” & 9” shaft lengths. Call to Order, Every shock has custom valving for each customer! 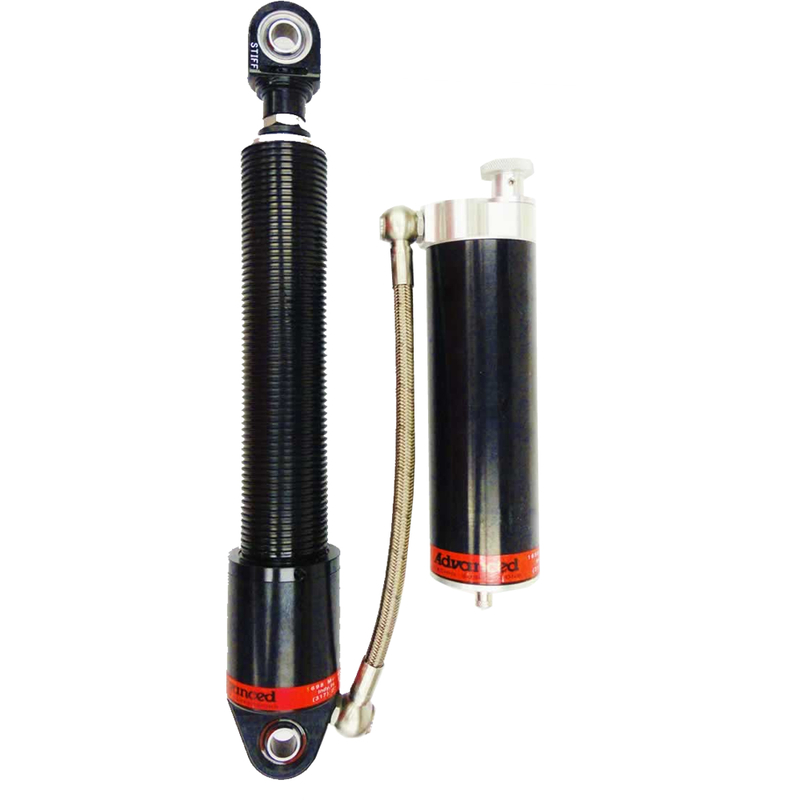 The 4000 Series shock is a large body mono-tube (gas) shock with a hard black anodized aluminum body and canister that is double adjustable. This shock uses CNC machined aluminum internal parts designed for racing with no aftermarket parts. This shock allows the racer to adjust the rebound and compression dampening completely independently. This shock allows for the rebound to be adjusted at the eye of the shock and the compression to be adjusted on the remote canister of the shock. This shock has a Schrader valve that allows fine tuning of the gas pressure. This shock will eliminate the need for extra shock inventory by creating one shock for each corner of your car. The large body shock accepts 2 1/4” & 2 ½” I.D. or 5” O.D. Springs and is available in 5”, 6”, 7”, 8” & 9” shaft lengths. Call to Order, Every shock has custom valving for each customer! 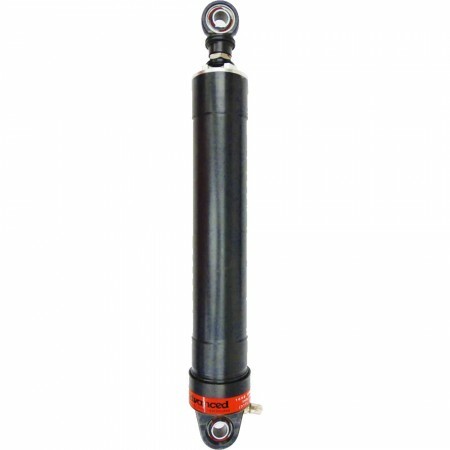 The 4200 Series shock is a large body mono-tube (gas) shock with a hard black anodized aluminum body and canister if choosing that option. This shock uses CNC machined aluminum internal parts designed for racing with no aftermarket parts. Most large body mono-tube shocks have too much rod pressure which removes driver feel and causes the race car to feel like it is on top of the track. This shock gives the driver more feel and allows the car to grip the track more. 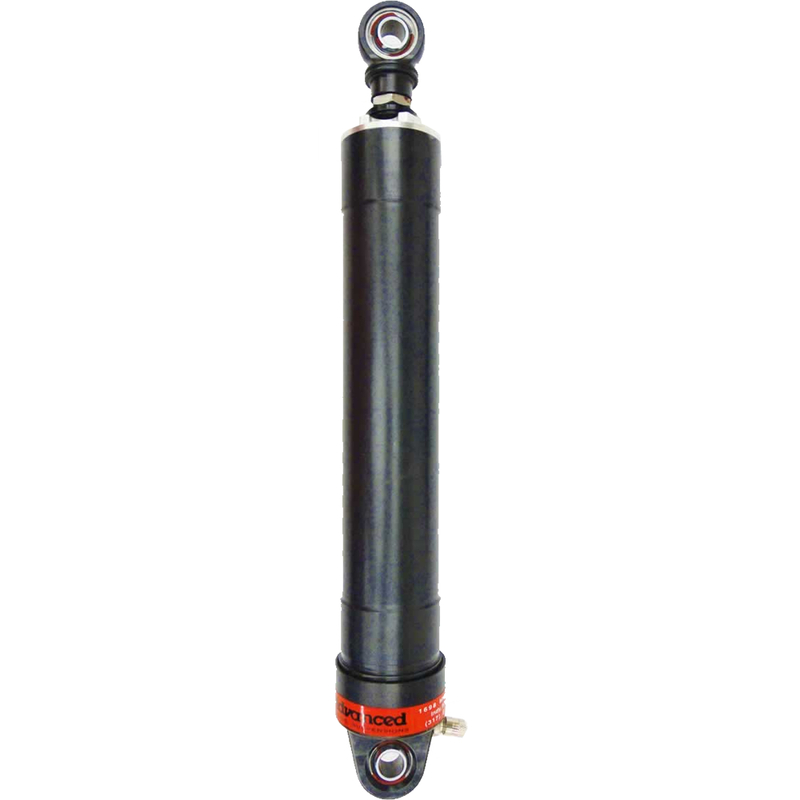 This shock utilizes a base valve that is installed between the floating piston and the valving piston to isolate the pressure, allowing for substantial reduction in rod pressure. 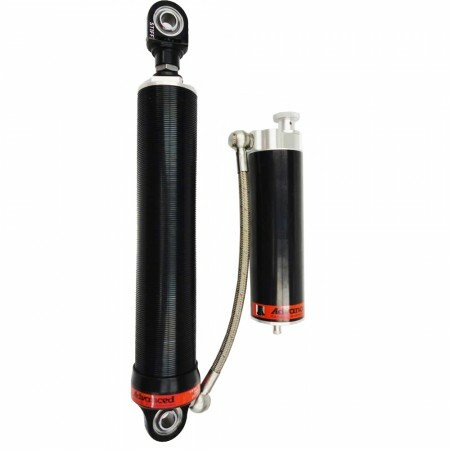 These rebound and compression adjustable shocks contain check valves to ensure no bleed-over when adjusting the rebound and compression dampening. This shock has a Schrader valve that provides for fine tuning the chassis balance. This shock accepts 2 ½” I.D. or 5” O.D. Springs and is available in 5”, 6”, 7”, 8” & 9” shaft lengths. Call to Order, Every shock has custom valving for each customer! The 7200 Series shock is a large steel body mono-tube (gas) shock made from steel. This shock uses CNC machined aluminum internal parts designed for racing with no aftermarket parts. This shock is designed for the racers that are required to use a Steel Body. This shock contains the latest base valve technology to provide low rod pressure which maximizes traction. The base valve installed between the floating piston and the valving piston isolates the pressure, allowing for substantial reduction in rod pressure. The advantage to the low pressure design is for when the racetrack becomes slick and tires lose their grip, the pressure is not increasing. This provides more consistency from the first lap to the last lap by decreasing spring rate build up in your shock. This shock comes with a Schrader valve to fine tune the gas pressure. If your race series will not allow Schrader valves, the shock is available with pressure pre-set and cap in the port hole to make it legal. This shock accepts 2 ½” & 5” O.D. Springs and is available in 6”, 7”, 8” & 9” shaft lengths.